Members of the Islamic Movement of Nigeria (IMN) have accused the Federal Government agents of killing its leader, Quaseem Umar. The group, also called Shiites, alleged that Umar was shot while leading protests against the continued detention of Ibraheem El-Zakzaky and his wife. A statement by the IMN spokesman, Ibrahim Musa, said the deceased was “identified and shot at a close range in Abuja, breaking his right thigh. He was taken to a private facility in Kano to receive treatment,” where he died. He said the deceased had been laid to rest in his hometown, Sokoto. “We unequivocally announce to the world that the Federal Government must bear the responsibility for his death since he was shot by its agents. 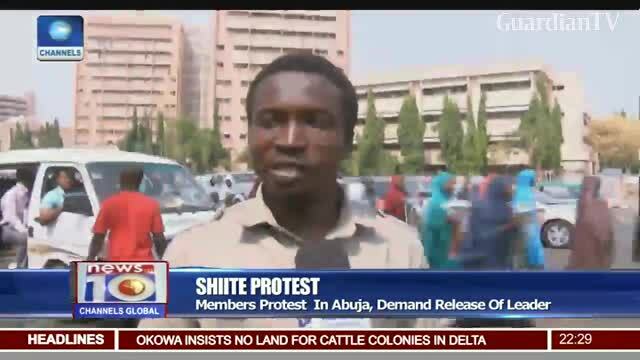 “He was peacefully protesting against the illegal detention of the leader of the IMN, Sheikh Zakzaky,” he said. Musa explained: “Umar became a martyr on February 5, 2018 due to the injuries sustained from that shot. This brings to three, the number of persons that the police killed on that day alone.